Our speaker at the third Zurich/CreativeMornings was Michel Bachman, co-founder of The Hub Zürich talking about Social Entrepreneurship. A big giant thank you to the team of Redsmoke Productions for their amazing work on documenting the event. The Zurich/CreativeMornings chapter is run by Daniel Frei. 11/10 Michel Bachmann | The Hub Zurich from Zurich/CreativeMornings on Vimeo. Last week I got a surprise visit at the studio by a young gentleman (insert name here) that dropped off some pretty cool Ugly Sweater T-Shirts. Perfect timing as we had an ugly sweater studiomates beerfriday planned. What do you think of our studiomates models sporting them? From left to right: Jason, Rob, Chris and Jeremiah. The picture was taken by wonderful Erin Sparlin. You can see all of the Ugly Sweater Portraits here. And make sure to read Jessi’s fantastic recap of the night. Oh, and the The Ugly Sweater T-Shirts can be bought over at Vardagen. 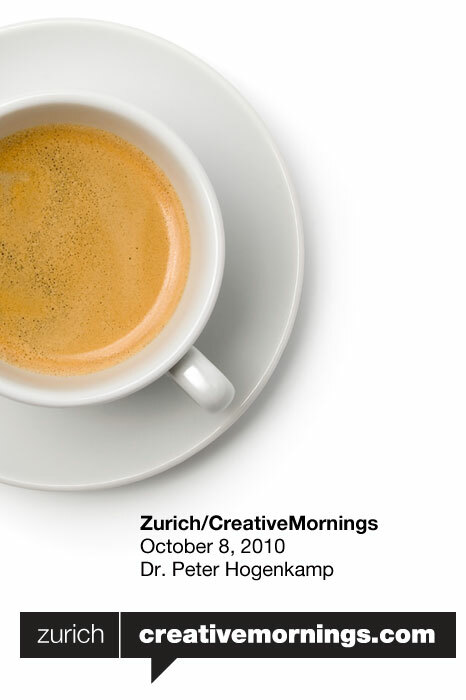 Zurich/CreativeMornings Friday November 12th, 8.30 am – 10 am. 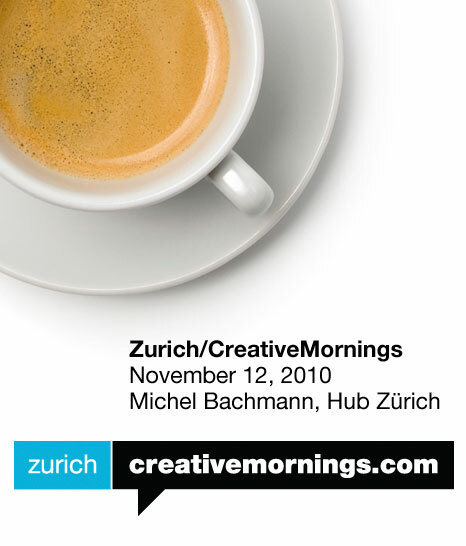 Our Zurich/CreativeMornings November speaker will be Michel Bachmann, Co-Founder The Hub Zürich. Michel will talk about collaborative innovation: taking the social in social entrepreneurship seriously. 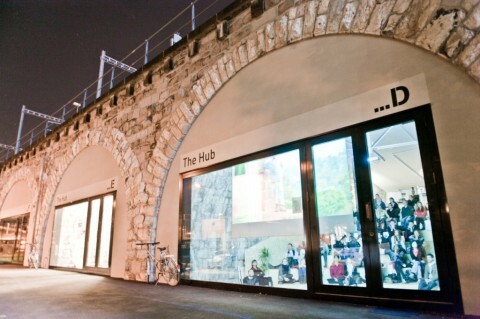 We are thrilled that The Hub Zürich offered to open their doors and host our Zurich/CreativeMornings. As you can tell from the images below, their space, designed by Antonio Scarponi, is stunning! You will be able to sign up starting Monday, November 8th, 11 am Zurich-time over at zurichcreativemornings.eventbrite.com. Mark your calendars as there are only 50 spots available. Coffee will be generously sponsored by the wonderful Cafe Noir in Zurich. Zurich/CreativeMornings is a monthly breakfast lecture series organized by Daniel Frei, originally started by Tina Roth Eisenberg (swissmiss) in New York City. Each event includes a 20 minute lecture, followed by a 20 minute group discussion. The gathering begins at 8:30am with the topic presentation starting at 9:00am and everyone taking off for work at 10am. CreativeMornings are free of charge! Be the first to know when r.s.v.p’s open up, follow Zurich/CreativeMornings on twitter! Check out pictures of previous NewYork/CreativeMornings over at Flickr. View all the taped Zurich/CreativeMornings talks we’ve put up on the web so far over at Vimeo. After a fantastic first Zurich/CreativeMornings at Google Zurich with Ario Jafarzadeh talking about Priority Inbox, I am excited to announce our second Swiss chapter CreativeMorning with Dr.Peter Hogenkamp, head of digital at the NZZ Group. The event will take place on October 8th, 2010 and will be generously hosted by supercool Cafe Casablanca (photo), in the heart of Zurich. A big thank you to Daniel Frei, who is running the Zurich chapter! Photos of last month’s event. Our speaker at the first official Zurich/CreativeMornings was Ario Jafarzadeh, Experience Designer on Google’s Gmail Team. In his fantastic talk, Ario shared the thinking and processes applied while working on Priority Inbox. The event was generously hosted and sponsored by Google Zurich. Thanks to Steve Rogers, Director of User Experience EMEA, for making this possible. Big news! CreativeMornings is expanding. Zurich is going to be the first city kicking off a CreativeMornings chapter. The two main forces helping me in this effort are Daniel Frei and Thomas Kupferschmied. They have been amazing in helping me get the Zurich chapter off the ground. And we are going to set the bar high with this first one. How? Our first official Zurich/CreativeMornings event will be held at the Zurich Google headquarters. Our speaker will be Ario Jafarzadeh, User Experience Designer on Gmail. Ario will talk about user experience design at Google and provide insights from the brand new Gmail Priority Inbox feature which launched today. We are excited that Steve Rogers, Director of User Experience EMEA will give a short introduction prior to Ario’s talk. We are thrilled (!!!) 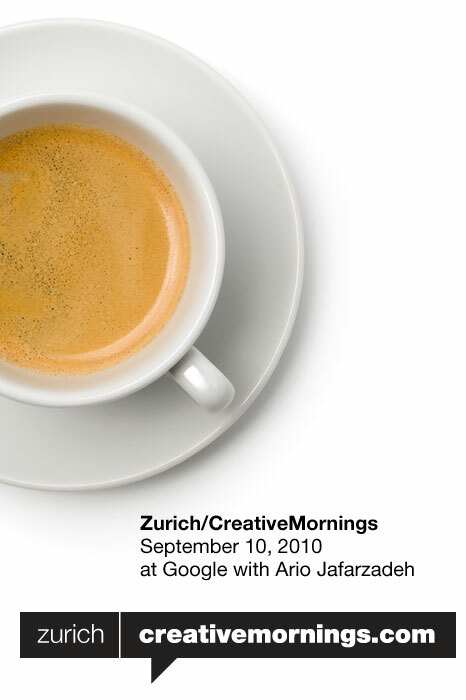 that Google offered to host and sponsor our first official Zurich/CreativeMornings. Get ready for a real treat. Don’t know what I am talking about? Check out this swissmiss post. You’ll be able to sign up for the Zurich/CreativeMornings starting september 6th, 11am, Zurich Time, over at zurichcreativemornings.eventbrite.com. There are 100 spots available and we will fill up quickly, so, mark your calendars! 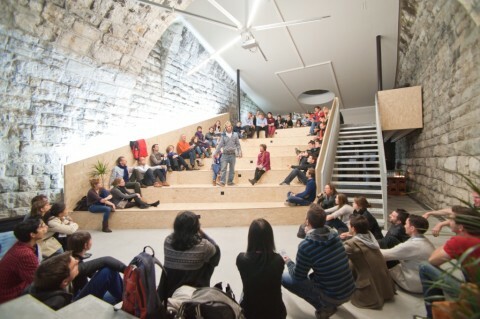 You can follow the Zurich chapter on twitter.com/Zurich_CM. Until we have the actual CreativeMornings site running, you can see what’s happening in the zurich chapter by filtering the swissmiss content by zurich/creativemornings. Oh, and if this wasn’t enough, we will be kicking off the LosAngeles/CreativeMornings chapter in October. Are we excited? YES WE ARE! Zurich/CreativeMornings is a brandnew monthly breakfast lecture series originally started by NYC based Tina Roth Eisenberg. The Zurich/CreativeMornings chapter is run by Zurich based Daniel Frei and Thomas Kupferschmied. Each event includes a 20 minute lecture, followed by a 20 minute group discussion. The gathering begins at 8:30am with the topic presentation starting at 9:00am and everyone taking off for work at 10am. Zurich/CreativeMornings are free of charge! View all the taped NewYork/CreativeMorning talks we’ve put up on the web so far over at Vimeo.